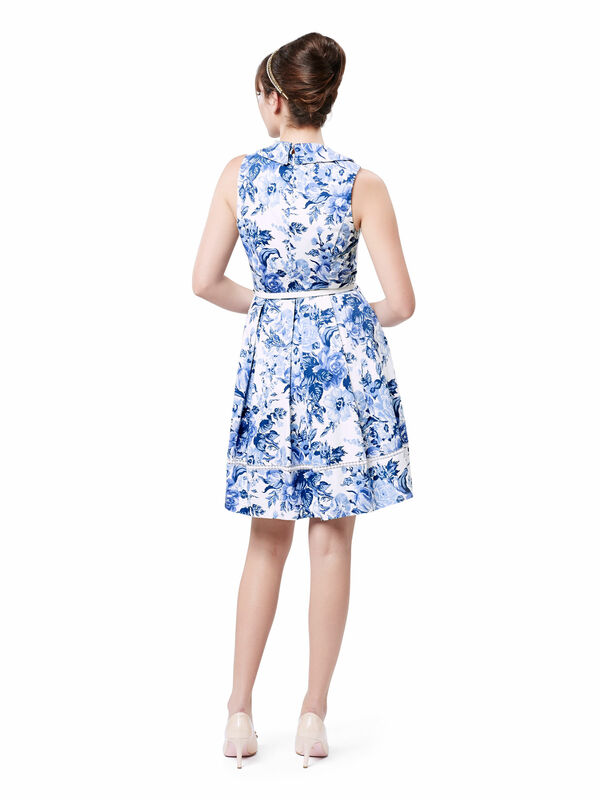 Jellicoe Dress https://www.review-australia.com/au/jellicoe-dress-white/RE18DR158.REWHT033.html Delightfully demure with an extra dose of vintage flair, this dress is a classic feminine favourite that's the perfect choice for a spring event or garden party. The heavy weight stretch cotton features a delicate textured effect and soft pleating through the skirt. The fitted bodice is darted for a structured silhouette and features a vintage style peak lapel and sweetheart neckline A matching patent white belt sits at the waist for the perfect finishing touch. Pair with a box clutch bag and pearl accessories for head-to-toe perfection. Worn with the Minnie Pump/Heel. 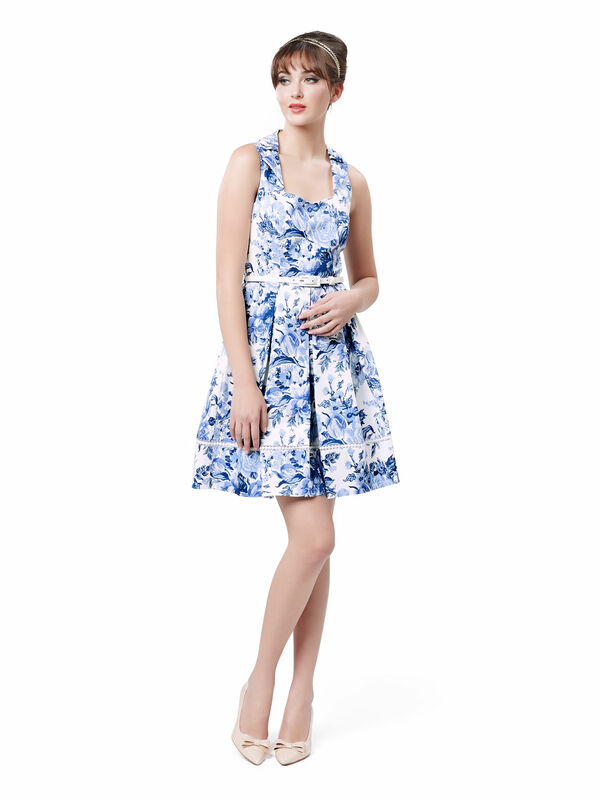 Delightfully demure with an extra dose of vintage flair, this dress is a classic feminine favourite that's the perfect choice for a spring event or garden party. The heavy weight stretch cotton features a delicate textured effect and soft pleating through the skirt. The fitted bodice is darted for a structured silhouette and features a vintage style peak lapel and sweetheart neckline A matching patent white belt sits at the waist for the perfect finishing touch. Pair with a box clutch bag and pearl accessories for head-to-toe perfection. Worn with the Minnie Pump/Heel. Jellicoe Dress is rated 5.0 out of 5 by 2. Rated 5 out of 5 by DiW16 from Stunning dress WHAT !! 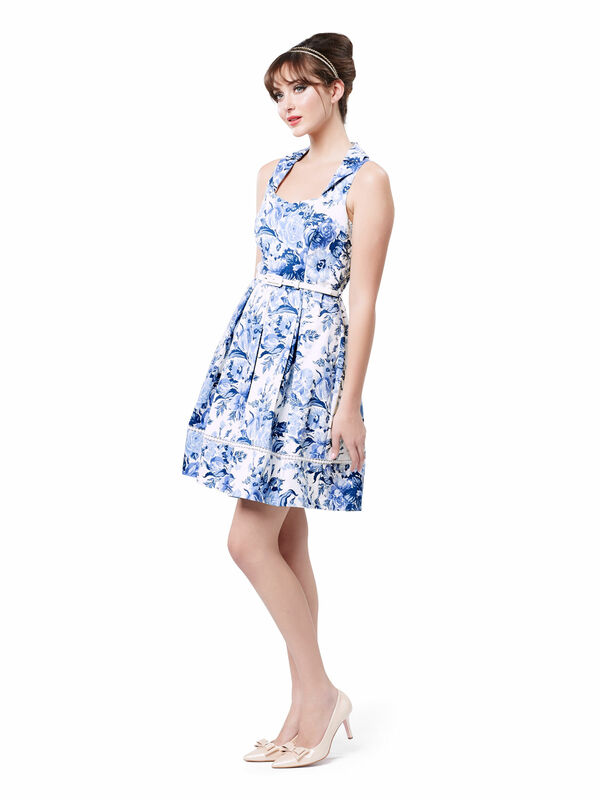 a dress, demure and stunning. Just the right length for a size 16 and a 1.70 metre person. The Delft Blue colour is perfect. Rated 5 out of 5 by lpit from Beautiful print One of my favourite dresses. Beautiful print and well made.